Feng Shui Extravaganza Hits Hollywood!!! 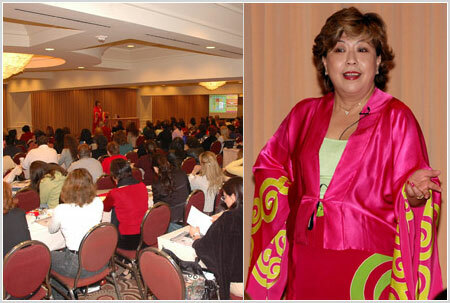 Early March saw Lillian Too's Feng Shui Extravaganza make its way to Los Angeles, USA. The event attracted a capacity crowd that comprised past students, veterans, as well as amateur practitioners who flew in from as far away as Florida, Canada, Hawaii and even from the South American countries. The location of the Extravaganza was the fabulous Hilton at LA International Airport making life easy for those who cam from out of town. Hosted by Peter and Joanie Lung of WOFS Primm, Nevada, the two-day event was a resounding success. As always, Lillian taught with generosity of spirit, holding nothing back, and this endeared her to the more than 300 participants. 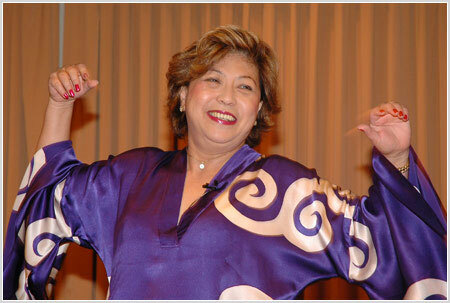 On the first day, Lillian outlined feng shui and astrology updates for 2005, explicitly addressing the effects of the change in energy as we move into the second year of Period 8. She answered many questions, and those who came with the main purpose of getting up close and personal had their chance. More than 90 percent of those who came for the first day stayed on for the practical workshop the next day. In this workshop, Lillian explained in detail how everyone could return home after the workshop to start analyzing the feng shui of their homes. The workshop covered practical aspects of major compass formulas, with helpful hints on how to perform accurate feng shui reading with confidence. All participants left with a Certificate after the workshop.